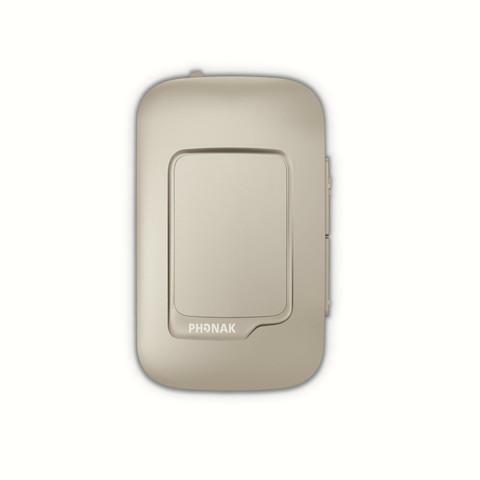 The ComPilot Air II is a small and stylish streamer that offers excellent stereo sound quality while connecting Phonak hearing aids via Bluetooth to a variety of audio sources. It connects Phonak Venture hearing aids via Bluetooth to a variety of audio sources: cell phones, MP3 players, tablets, laptops and computers. Combine with Phonak TVLink II to turn your hearing aids into wireless headphones, or with Phonak RemoteMic for better understanding over distance. It has a built-in demonstration capability, no neckloop but a clip for easy wearing.